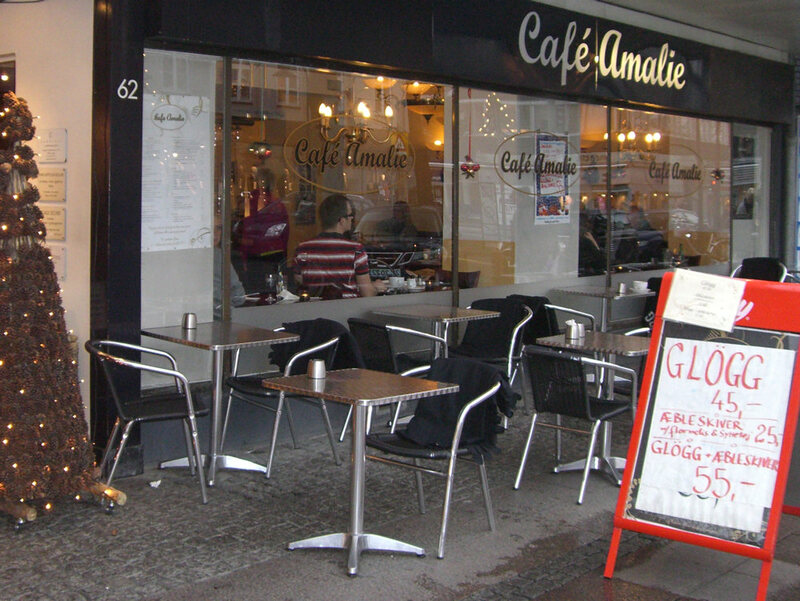 Situated on the main street in the town of Lyngby, 30 minutes out of Copenhagen, we found the warm and busy Café Amalie. Notice in the shot no souls brave enough to make use of the blankets and sit in the 5° weather outside! Festive Christmas times have descended on Denmark and we felt the cosiness of this cafe as soon as we entered. Danes at every table were enjoying tall cafe lattes, æblerskiver and warm glogg. I enjoyed a popular drink – hyldeblomst (elderflower). 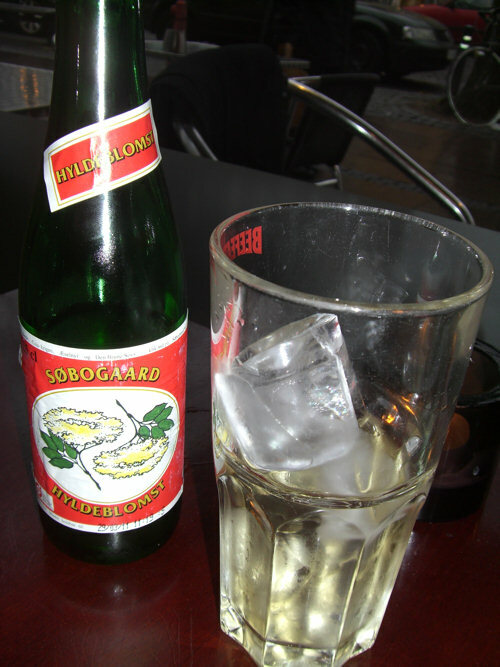 The closest flavour it resembles is lychee and is very refreshing and thirst-quenching. 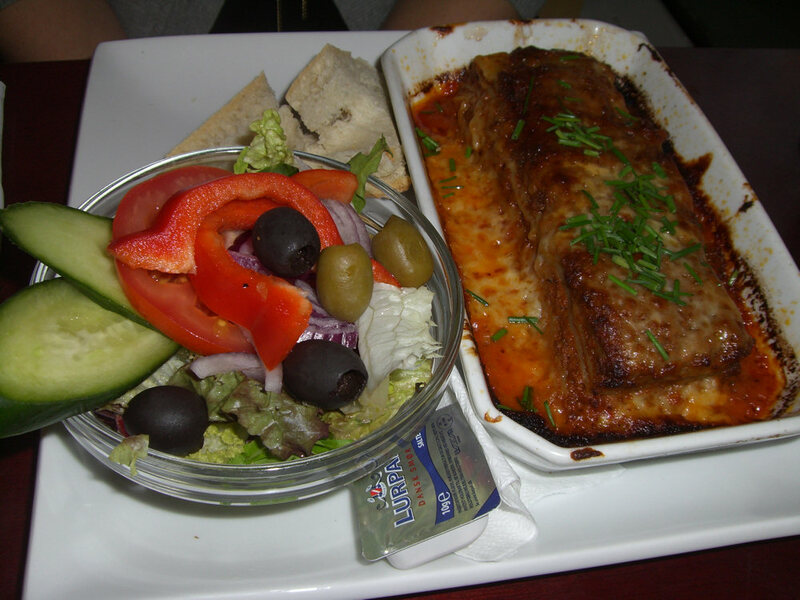 My girlfriend chose the most warming dish she could see, homemade lasagne bolognese (approx $19). Slightly overcooked and with too much bolognese filling, the dish she was served was certainly warming but lacking in much else. 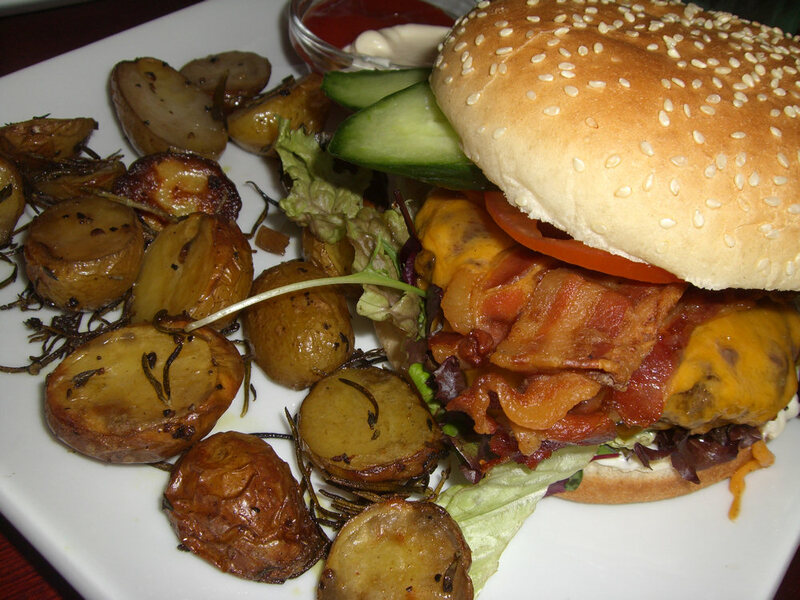 I chose Amalie’s homemade burger with 200g pattie, cheddar, bacon, tomato, cucumber, lettuce and onion compote (approx $26). The flavour of the pattie was amazing, cooked through with a touch of pink in the centre. It’s a shame when cooks neglect the pattie itself and rely on the burger toppings to create the flavours. This meat was nicely herbed. The bacon and onion compote resulted in a rich flavour and I simply could not put this burger down. All of the cheddar cheese oozed over the rest of the ingredients making me wonder why these darker cheeses aren’t used in burgers more often! The ovenbaked, salted rosemary baby potatoes were a hit. Thankfully there were plenty of the potatoes on the plate! They were accomanied by a small bowl, half with tomato sauce and half with mayonaise. This entry was posted in Copenhagen, Denmark and tagged Outdoor seating. Bookmark the permalink.